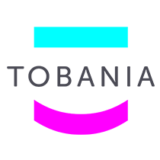 Tobania, the result of a fusion between TOBIUS and the SAGA Consulting Group in 2014, provides business and technology solutions with accompanying services in consultancy. We are an all-round integrator and one of the biggest and most influential IT sourcing players on the Belgian ICT market. IT sourcing is in our DNA. Over the last ten years we have become an expert in finding the right people, meaning that we currently benefit from the expertise of over 500 motivated ICT specialists: analysts, architects, developers, project managers, to name but a few. Our solutions are applied in many different areas, locally, regionally and nationally and in a variety of sectors: banking, financial services, utilities, healthcare, production, government and social administration sector. Tobania is exclusively under Belgian ownership and has an annual turnover of +/- 65 million euros.